Ozeri has a new food store containers that takes food storing to a whole new level. Ozeri INSTAVAC Green Earth Food Storage Container Set, is not only BPA-Free, but it has a new vacuum seal technology and very strong locking lids that helps reduce bacteria from spoiling your food. 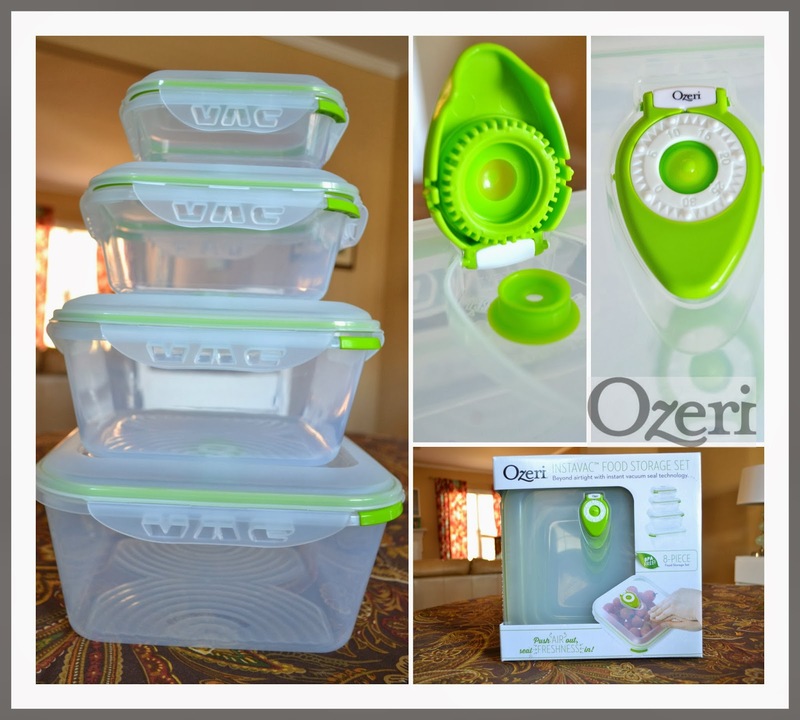 Ozeri INSTAVAC Green Earth Food Storage Container Set, BPA-Fee 8-Piece Nesting Set with Vacuum Seal and Locking Lids. Ozeri INSTAVAC Green Earth Food Storage Container Set, BPA-Fee 8-Piece Nesting Set with Vacuum Seal and Locking Lids is sold on Amazon.com for the great price of $24.95. This is a wonderful price for a 8 pc. set - 4 different sized containers and matching lids.